Michaela enjoyed dressing up like a princess today in her outfit from Uncle Matthew. Hi Michaela. You are the prettiest princess we have ever seen! We love your beautiful outfit. 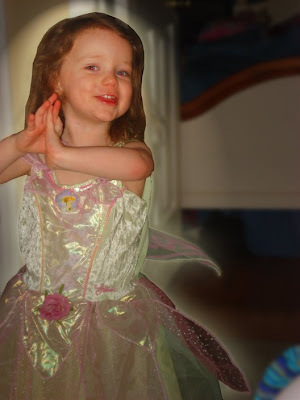 A beautiful fairy and a princess all in one very beautiful little girl!